"Our purpose is to provide you, as one of our top presidents, with an oasis of spiritual refreshing and a time of professional enrichment. We’re very pleased to welcome Gene Habecker, former President of Taylor University and Tim Elmore, President of Growing Leaders, as this year’s resource leaders. Gene’s new book, The Softer Side of Leadership, (to be released this May) and Tim’s new book, Marching off the Map, will be given to all who attend. Of course, there’s the priceless treasure of your fellowship with other presidents and spouses, along with the deepening of these friendships. Directions: Callaway Resort & Gardens is located in Pine Mountain, Georgia, 60 minutes southwest of Atlanta’s Hartsfield Jackson International Airport and 30 minutes north of Columbus. 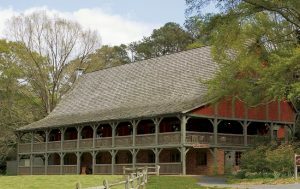 The main entrance to Callaway Gardens is located at the intersection of GA Hwy 18 and GA Hwy 354. Cost: This is an expense-paid retreat including lodging, meals, and program for you and your spouse – as an expression of our gratitude for your high-value leadership to the biblical higher education movement. Your only responsibility is for a $100 registration fee and your travel. ABHE will cover all on-site expenses for you and your spouse. 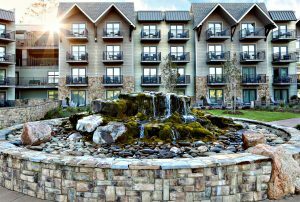 Lodging: Our home for the Gathering is at the beautiful Lodge & Spa that includes the Piedmont Grilland our meeting room, Bayberry 3 & 4. Six Meals: We’ll begin with dinner together Wednesday evening (5/30) at the The Lodge & Spa, and close with lunch together on Friday (6/1) at the Piedmont Grill. 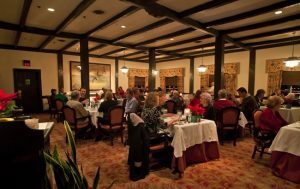 Our Thursday evening dinner will be hosted at the historic Gardens Restaurant, the original golf clubhouse, overlooking the beautiful Mountain Creek Lake and 10th hole of the Lake View Golf Course. Look for Tim Fuller and find out more at the ABHE website.